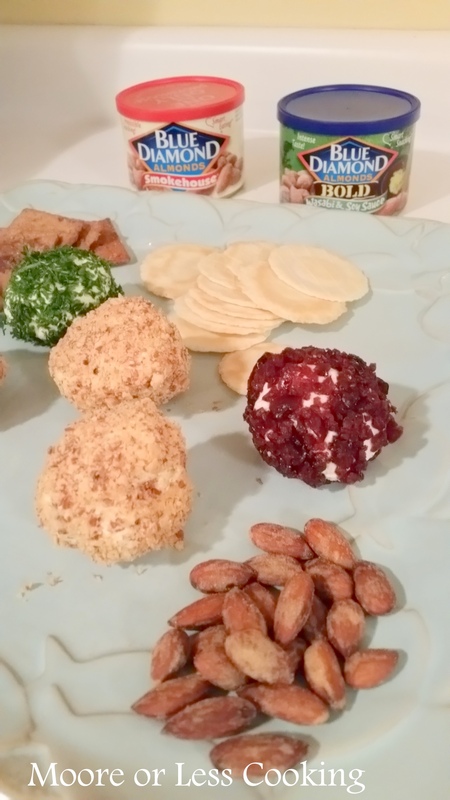 I love snacking on almonds and thought that Savory Mini Cheese Balls would be a perfect appetizer for our football night! I used finely chopped Smokehouse Almonds and Wasabi & Soy Sauce Almonds to coat cream cheese and garlic balls! They were a hit! The guys were impressed that I made these in a jiffy and the presentation was beautiful. Serve these Mini Cheese Balls with your favorite crackers and/or veggies for a healthy snack! The Smokehouse and Wasabi & Soy Sauce almonds have a wonderful zippy flavor that is a great addition to your party platters. These cheese balls were so fun and easy to prepare. This recipe makes 6 Cheese Balls. 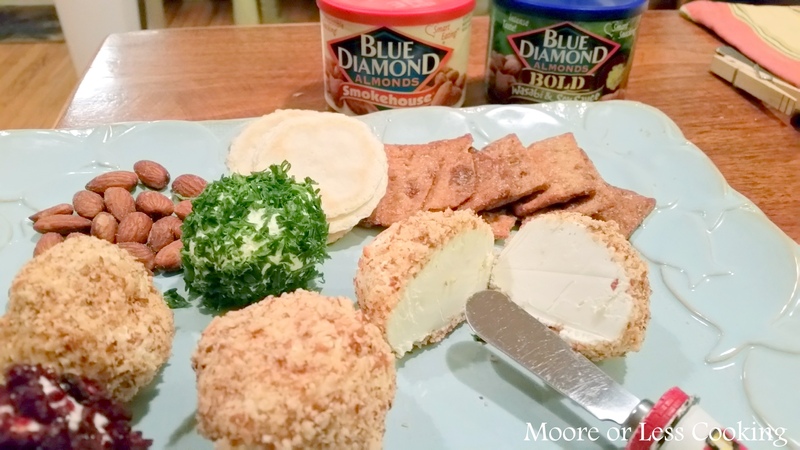 Fun and Easy Mini Savory Cheese Balls made with Blue Diamond Almonds. Combine cream cheese and garlic. Divide cream cheese mixture into 6 pieces. 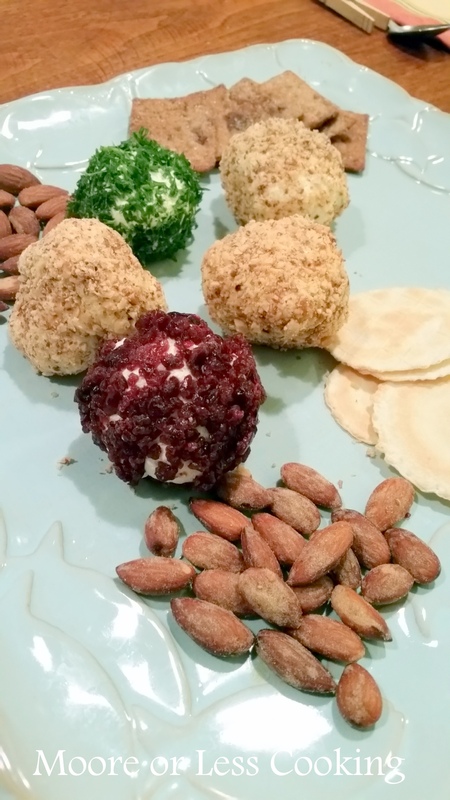 Roll cream cheese ball into nuts, and parsley and cranberries.